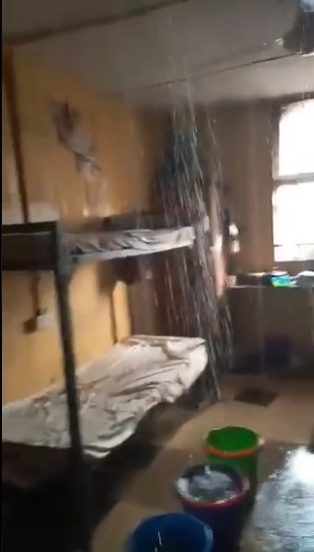 After a recent unfortunate occurrence which a spinning ceiling fan fell in the middle of the night in a room at the Fagunwa Hall of Unilag, there has been another sad event at the female hostel. 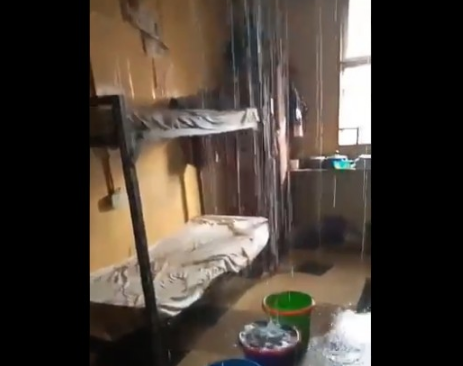 Their rooms were filled with rain water as a result of leaking roof. Students were seen using buckets to scoop out the water that filled the rooms to save their valuables.